New Sample Offer for FREE Sample of Gevalia Mocha Latte K-Cups! Get it Here! FREE Lipton Tea K-Cup Sample Pack! Get it Here! Langers Juice Giveaway (First 200 @ 3PM ET Daily) The first 200 who enter at 3PM ET each day will score a free product coupon. Get it Here! Free Sample of Folgers Black Silk Coffee! Free Sample of Folgers Black Silk Coffee! Get it Here! FREE Samples of SoZo Life Gourmet Coffee! Get it Here! FREE LUNA Carrot Cake Bar (First 10,000!) Get it Here! Free Bottle Of Old Orchard Healthy Balance Reduced-Sugar Juice! It will be mailed a Free Value Coupon! Get it Here! Snag a Printable coupon for FREE Lance Xtra Fulls Sandwich Crackers at Walmart! Get it Here! This coupon is only valid at Walmart. 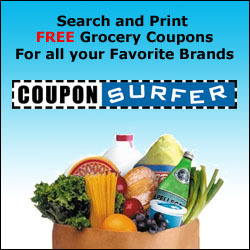 Walmart doesn’t usually accept printable free product coupons, but since this one is offered by them on their own website, there shouldn’t be a problem redeeming it. FREE Sample of Peet’s Coffee K-Cups Get it Here! FREE Whopper at Burger King! 3 FREE Atkins Bars, Carb Counter Book & More! FREE Quarter Pounder from McDonalds!